In 2015, the City of Lawrence launched the "Lawrence Food Truck Park" a new initiative to bring people together over great food. The park was stationed in a lot that had been abandoned for years on the very busy Essex St. in downtown Lawrence. I was commissioned to create a logo for the park that would resonate with the feeling they were trying to evoke. Using a bright persimmons orange and creating a retro diner like feel kept the aesthetic consistent with the history of street. The bright colors work well against the pale neutral setting. Accompanying the logo, a flyer was made to promote the grand opening. 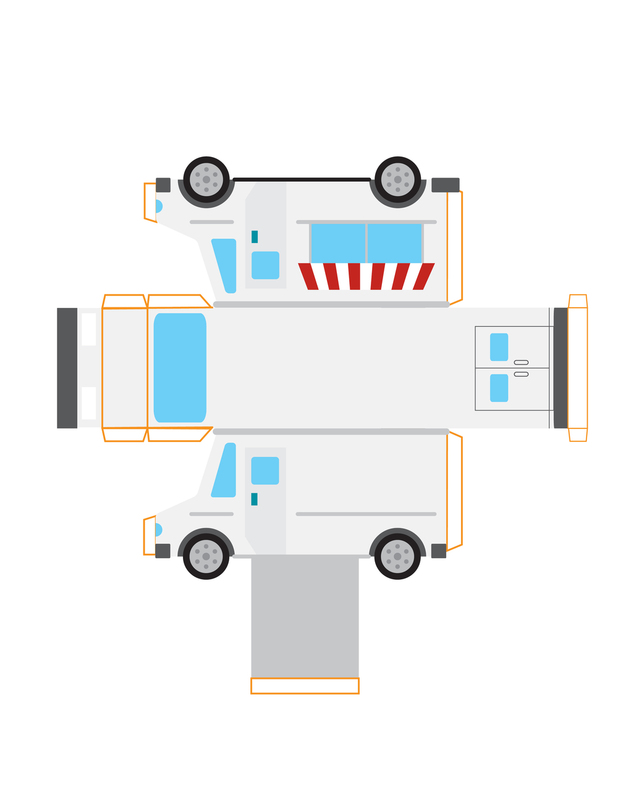 I created illustrated cut-out foldable food trucks to then photograph and use for promotion. Along with the cutouts, a map was illustrated to point out where in the city the park would be located, while highlighting local landmarks.